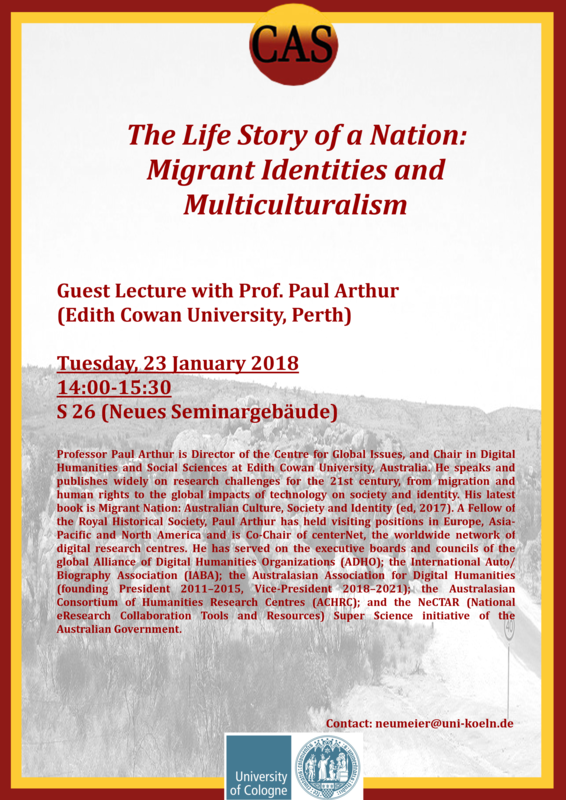 In this lecture, Paul Arthur discusses his recent edited book, Migrant Nation: Australian Culture, Society and Identity (2017), which shows multicultural Australia as being characterised by a diversity of cultural influences and identities, especially since post-war migration in the second half of the 20th century. 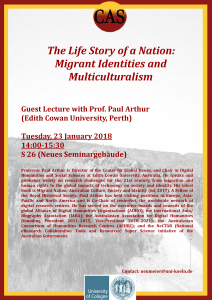 He will then present as a case study the Australian Dictionary of Biography, which is recognized as the longest running and largest project in the humanities and social sciences in Australia. 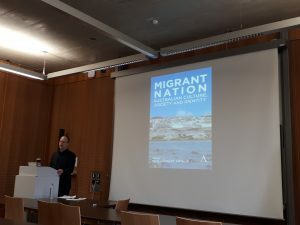 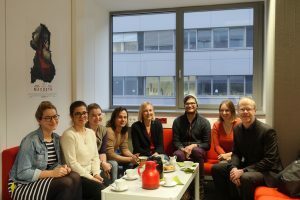 He will focus on a specific aspect of the dictionary – its capacity to be representative of one nation’s identity and history – to investigate how the digital medium has recently enabled major changes in the ways that national biography can be generated and engaged with.